Whether Current Procedural Terminology (CPT) coding for urology practice qualifies as an art form is debatable, but the adage “the code is in the eye of the beholder” definitely applies. “We could put several coders in a room with one operative note, and we could probably come away with four or five different codes. This is just difference of opinion, differences in how we read and interpret the note,” said Edna Maldonado, CPC, ACS-UR, Coding Coordinator, Practice Management Department, American Urological Association (AUA), Lithicum, MD. When a surgical procedure includes imaging guidance, supervision, or interpretation, a written report, signed by the person who interpreted the image, should be included. Separate documentation is not required, but, at the very least, a separate paragraph covering image interpretation should be included in the report. A retrograde pyelogram represents one common area of confusion. “When the procedure is done in hospital, a physician who has separate documentation can bill for the retrograde pyelogram interpretation with the 26 modifier. However, because this is a radiologic procedure, the hospital can also bill. If the hospital bills first, the hospital gets paid, and the urologist’s claim will be denied. It all comes down to who submits a claim first,” said Ms Maldonado. Currently, no code exists for incorporating magnetic resonance imaging (MRI) fusion into prostate biopsies. Urologist claims associated with CPT code 77021 (MRI guidance for needle placement) will be denied. Alternatively, urologists may submit a claim associated with CPT code 76498 (unlisted MRI procedure), which will be automatically denied. 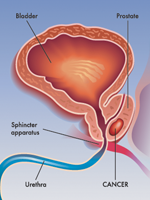 The urologist may then appeal the claim and equate the procedure to an MRI biopsy. A course of treatment with col­lagenase clostridium histolyticum (Xiaflex) entails 3 visits. The initial visit can be associated with CPT and the Healthcare Common Procedure Coding System (HCPCS) codes 54235 (injection into the corpora cavernosa with a pharmacologic agent), 96372 (therapeutic, prophylactic, or diagnostic injection), J0775 (Xiaflex injection), or 54200 (injection procedure for Peyronie’s disease). The second session is covered by the HCPCS code J0775 or CPT codes 54200 to 54258. The third visit is covered by CPT code 99024 (postoperative visit). Claims for sipuleucel-T (Provenge) must be associated with the International Classification of Diseases, Tenth Revision (ICD-10) code C61 (malignant neoplasm of the prostate) and ≥1 ICD-10 codes from C77.1 to C79.82 (bone metastasis, documented in medical record), in addition to the Provenge-specific HCPCS code Q2043. Select an appropriate infusion CPT code (96413-96415 or 96365-96366), depending on the length of the infusion. The primary HCPCS code for den­osumab (Prolia) is J0897, plus CPT code 96372 (therapeutic, prophylactic, or diagnostic injection) or CPT code 96401 (chemotherapy-associated code). Urologists should consult with commercial payer or Medicare representatives to determine the most appropriate coding. A separate report and interpretation must be provided for each service performed as part of a broader urodynamics assessment. All printed components of the assessment should be included in a patient’s chart to support the claim. The report should include test results and interpretation. The AUA has developed a document reviewing the issues in detail. The retrograde pyelogram procedure is bundled with approximately 80% of surgical procedures. 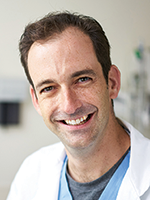 The only exception is when a physician specifically requests the urologist to perform catheter placement to prevent ureteral injury and no other service or procedure. Claims for the exceptional circumstances should be associated with the CPT code 52005, and the billing urologist must include the primary physician’s diagnostic code. Use CPT code 76857 when performing an in-office bladder ultrasound to view the anatomy, architecture, or morphology of the full bladder, in addition to determining the postvoid residual volume. Findings (eg, bladder wall thickness, presence of bladder diverticula, intravesical prostate protrusion or pathology) must be included in the documentation of the study. If the primary purpose of the study is to determine the postvoid residual volume, use CPT code 51798, regardless of the employed technology. Use CPT code 76770 for a complete ultrasound evaluation of the retroperitoneum. The evaluation should include real-time scans of the kidneys, abdominal aorta, common iliac artery origins, and inferior vena cava. Documentation should include any demonstrated abnormality. If patient history suggests urinary tract pathology, complete evaluation of the kidneys and urinary bladder also constitute a complete retroperitoneal ultrasound evaluation. Use CPT code 76857 for a limited nonobstetric pelvic ultrasound. Urine creatinine testing is included in a regular urinalysis (CPT codes 81000-81003) and cannot be billed separately. Injection of an anesthetic agent (CPT code 64450) is bundled with prostate ultrasosund biopsy and cannot be billed separately, which is true for many other surgical procedures that Medicare will not cover. Providers should check with individual private insurers to determine payment policies for anesthetic administration. Use codes specific for procedures. For example, use CPT code 55866 for laparoscopy, surgical prostatectomy, retropubic radical (including nerve-sparing procedures); CPT code 38571 for laparoscopy, surgical with bilateral total pelvic lymphadenectomy; and CPT code 38572 for laparoscopy, surgical with bilateral total pelvic lymphadenectomy and periaortic lymph node sampling (single or multiple). Do not submit HCPCS code S2900 (surgical techniques requiring use of robotic surgical system) in addition to the CPT code for the primary procedure. For laparoscopic cystectomy, use CPT code 51999, which is defined as an unlisted laparoscopy procedure, with bladder as the basic code. This CPT code will require equating to other CPT codes. Query the treating physician to determine the most appropriate coding; a combination of codes may be necessary. When possible, equate to a similar procedure. The best approach is to know what individual insurance carriers prefer. CPT codes change every year, and urology practices should purchase new code books on an annual basis to avoid unnecessary denials, said Ms Maldonado. “If your coders don’t have up-to-date books, then you’re not going to get up-to-date payment,” she said.